The exhibition will include some examples given out by our current Queen during the last few decades and some from Queen Victoria. The oldest coin we have, a 1p, is tiny but has the Lord’s prayer written on the back in full. It is an amazing piece – but hard to read! They were donated to the museum by members of the community. The display will be open from Wednesday April 16th until Saturday, April 19th from 12pm until 4.45pm. It will also explain the tradition behind the giving of Maundy Money and what it represents. Her Majesty will be coming to Blackburn on Thursday, April 17, to hand out Maundy Money at our Cathedral to men and women from across Lancashire. Every year the Monarch visits a UK cathedral or abbey to give out Maundy coins to people aged 70 and over in recognition of their service to their community and church. This year’s visit will be the first time The Queen, who by tradition is also the Duke of Lancaster, has visited Blackburn Cathedral, which is Lancashire’s Anglican Cathedral. She will be accompanied by His Royal Highness, The Duke of Edinburgh. Buckingham Palace will invite 88 men and 88 women from the Diocese (in line with The Queen’s age this year) to receive the special coins. Maundy money is given in denominations of 1, 2, 3 and 4p’s and the coins are tiny. They were traditionally given to the elderly. Nowadays it tends to be given to volunteers/people who have carried out good work within their community. 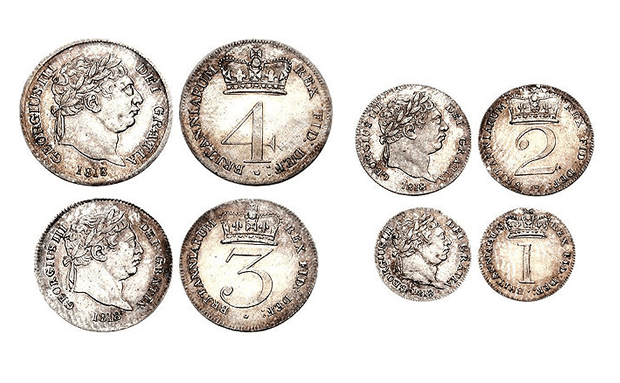 The coins are always given just before Easter by the Queen or a representative of the monarchy. Canon Andrew Hindley from the Cathedral who is coordinating the planning for the Maundy Service said today: “I am delighted to hear that the museum is putting on this display for its visitors. I shall certainly make some time to visit myself.